Welcome back. Hope you had a lovely Easter break! We have places available in September. For further information, please contact us on 0771 450 2472. Bents Green pre-school started off as a playgroup in the 1960’s, changing our name to pre-school in 1999. We are regulated by Ofsted and have received "good" in the last inspection. A copy of the current report is available and can be found in the corridor at pre-school or can be accessed by a link through our website. Our pre-school is in Bents Green Methodist Church and access is through the doors on Ringinglow Road. We are at the end of the corridor. There is a bell by the door. Our sessions run Monday to Friday mornings from 9.15am - 12.15pm. We also run an afternoon session on a Monday from 12.15 - 2.45pm. Children can attend the two sessions and bring a packed lunch. 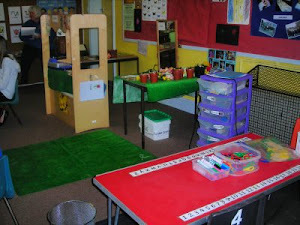 We have one large primary room which is set out into different areas that your child can access, throughout the session. 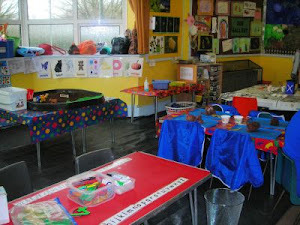 We have a small room adjacent which we use for small group activities and story time. Our outdoor area is available to children from 10.00 - 11.40am and we try to use this area daily, so ask that your child is suitably dressed for our weather!!! We feel children benefit greatly from outdoors and all areas of the curriculum are covered. Bents Green Pre-school offers a warm and caring environment, where your child will feel secure and grow in confidence; to make friends and learn through play activities. We aim to provide stimulating activities which will extend your child’s physical, cognitive and emotional development. They will have opportunities to participate in small and large group activities. The Early Years Foundation Stage sets the standards that all early years providers must meet to ensure that every child will learn and develop well. We have a key person system which means your child will be looked after by a designated member of staff who will be on hand to provide support and will aim to answer any concern you may have. However, please feel free to speak to anyone. The majority of our staff are qualified to level 3 and above. Developing a child’s confidence and independence. Forming friendships: managing feelings and behaviour. Developing skills in listening, attention and understanding: enjoying stories, rhymes, listening games and sharing their news in groups. Using both gross and fine motor skills to develop muscles in a variety of play based activities. Understanding the importance of healthy food and exercise. Showing an interest in books and phonics and begin to break down words into sounds to enable reading. Learning through practical daily activities e.g. 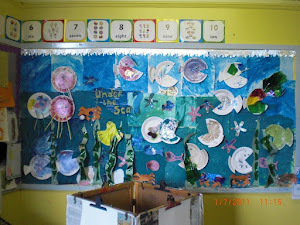 songs, circle time, numbers, sizes, shapes in and around the pre-school and quantity. Learning about the environment, and looking after living things. We grow our own vegetables annually and the children are always eager to participate. Using ICT equipment and talking about their communities and learning about others. Learning how to express themselves through art, music, movement and imaginative games. If your child is 2, fees are charged half-termly and are currently £13.50 per morning session and £11.25 per (Monday) afternoon session. 9.20am We sing/sign a Welcome song and take the register. We have show and tell once a week (day varies so that everyone has the opportunity to speak if they wish). 9.25am Activity time we have a range of activities which all relate to the Early Years foundation stage, and are planned from observations carried out on the children. There are several “zones” in the room e.g. role play, sand, creative, book corner. We also have a rolling snack which children can access for the first hour. Children can choose to play indoors or outdoors. 11.40am Tidy up time. (indoors/outdoors). All the children are encouraged to help tidy away. It is good for their social development and can be fun too. 11.45am Song of the week, music and movement. 12.00noon Story time: We have two groups where children enjoy a variety of stories, some with props, rhymes, I spy games. The afternoon session offers similar activities. We also do small group work. Bents Green pre-school is run by a committee of parents who are elected at an Annual General meeting, usually held in January. We are always looking for new volunteers. Not only is it a good way to find out more about the pre-school, the pre-school cannot operate without one. We are always delighted if you would like to come and help for a morning. It is lovely for your child to share their pre-school with you, and you can see for yourself what happens in a morning, as well as having a chat with your child’s key person. We understand that not everyone is able to participate. The rota list can be found on the notice board in the corridor. Helping once a term would be great. If you would like to be a more regular helper, we would need you to complete a DBS form. This is a requirement by Ofsted.